Now a days, 80% of the total visitors are using their mobile devices/ android devices / ipads for internet browsing. We develop responsive websites which are device independent. 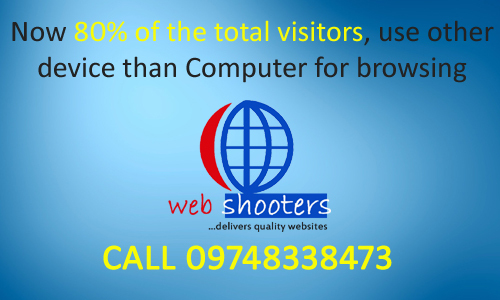 To own your website call us at 09748338473. NextDigital Marketing is at its peak!